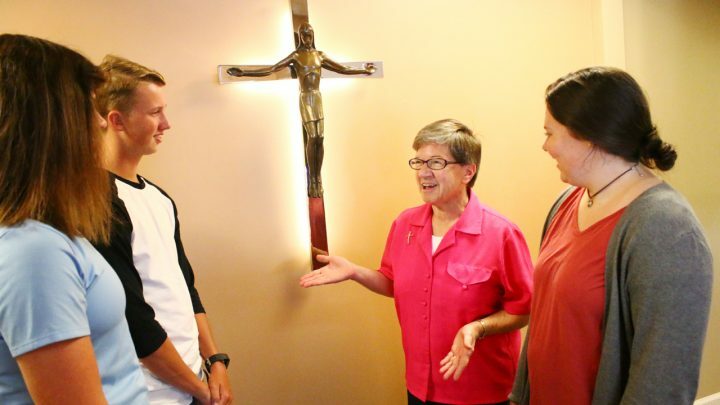 The first step is having a desire to both understand what it means to be called to religious life and to learn about the Sisters of the Redeemer. Women are invited to experience religious life and the Congregation by sharing in prayer, meals, feast days and other community celebrations. 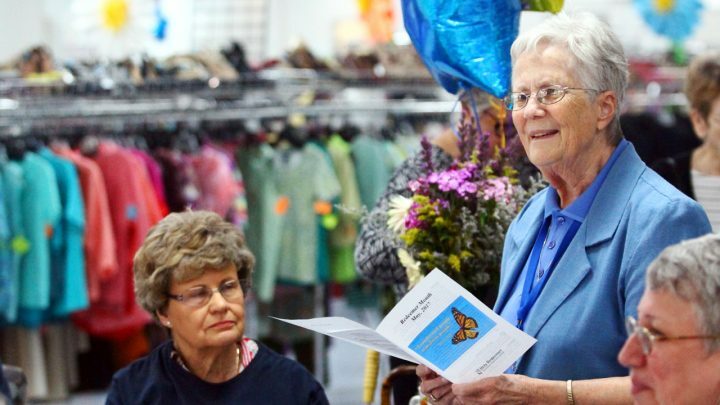 They have the opportunity to volunteer alongside the Sisters. During this time, a woman meets regularly with the Vocation Director who assists in exploring her call. An Affiliate is a woman who has made the decision, with the guidance of the Vocation Director, to pursue the desire of being called by God to religious life and who wants to engage more fully with our Congregation. The length of the Affiliate phase is one to two years. The goal of the Affiliate phase is growth in the spiritual life and clarity on whether or not the woman is called to become a Sister of the Redeemer. The Affiliate learns about the charism, spirituality and mission of the Congregation and gains greater understanding of where God is calling her. This is a mutual discernment process between the woman and the Vocation Director representing the Congregation. If continuing to experience God’s call to our Congregation, and readiness is mutually determined, preparation begins for the next phase- Candidacy. 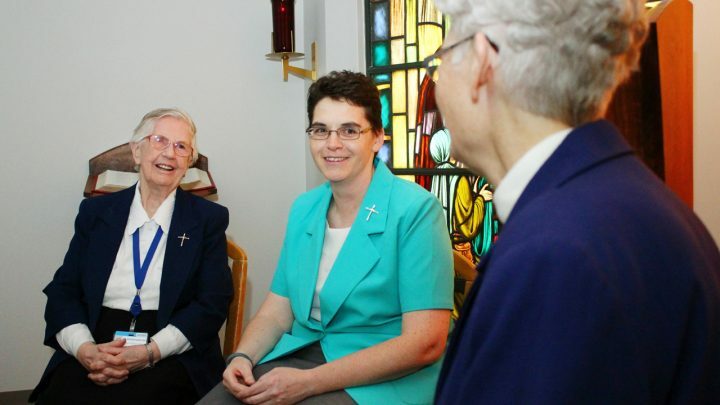 The Candidate is a woman who has made formal application to the Sisters of the Redeemer and who is prepared for entrance into the community as a Postulant. The Vocation Director and the Sisters continue to be a supportive presence during the process of completing all the necessary requirements and awaiting official acceptance into the Sisters of the Redeemer as a Postulant. A Postulant lives with the Sisters, sharing prayer and community life while continuing to explore more deeply a vocation as a Sister of the Redeemer. As a Postulant she will wear a simple cross as a symbol of her commitment to God through the Congregation. During the postulancy, the woman begins her orientation to formation as a Sister of the Redeemer and may work in one of the ministries of the Sisters. Postulancy generally lasts one year, but the time is determined according to the individual’s need and readiness to move to the next phase- Novitiate. The Novitiate is a time to deepen the response to God’s call to become a Sister of the Redeemer. It is a special time of grace, a gift from God to be used primarily for reflection, prayer and study. Experience in ministry during this time is limited. The Novitiate lasts two years. The first year of novitiate, the canonical year, is a time away from the normal routines of daily life and an opportunity for the woman to fully focus on her relationship with God through prayer, community and limited ministry. During this phase she studies with novices from other religious congregations. 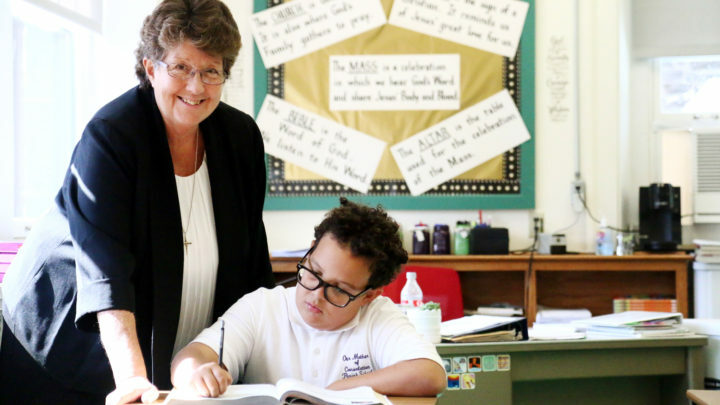 The second year of novitiate allows for a fuller experience in ministry while participating in religious education and formation classes. There is a continued deepening of one’s relationship with God and familiarity with life as a Sister of the Redeemer. After the novitiate, first vows are professed. 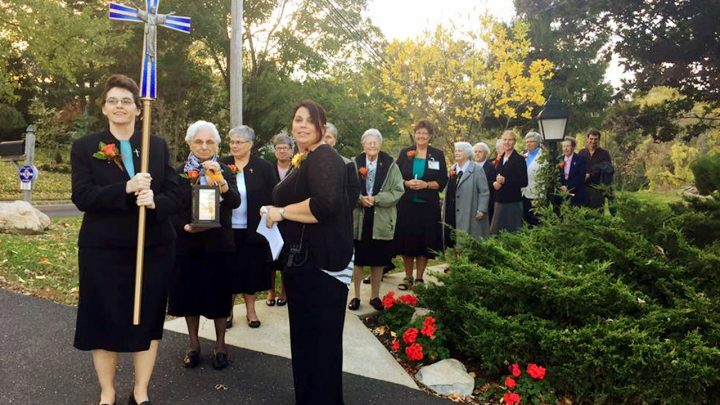 As a temporary professed member of the Sisters of the Redeemer, a woman integrates her community life, prayer and apostolic work. During this time of education and formation, a sincere willingness and capacity to live the vows of poverty, chastity and obedience are observed. Vows are renewed throughout a time period of six years. After temporary profession of vows a woman is perpetually professed. 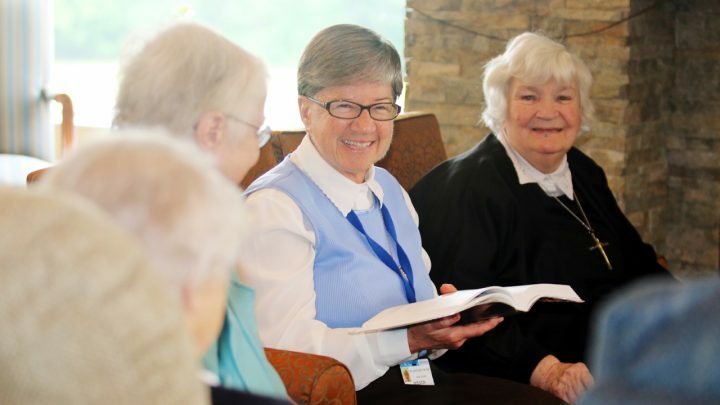 Sisters proclaim their vows daily through the example of their life, prayer, and ministry in service to God and people as Sisters of the Redeemer. 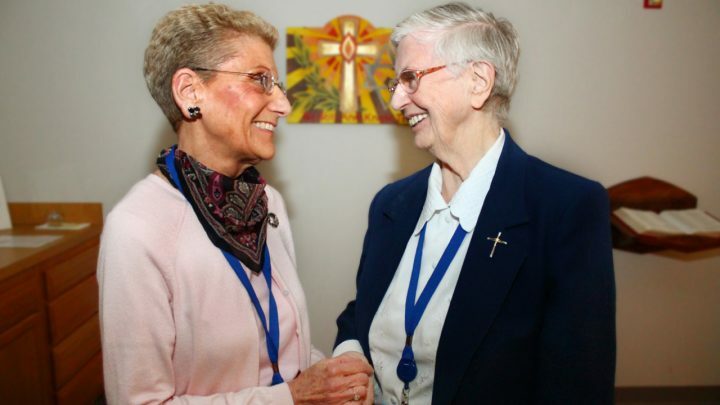 Sisters renew their vows annually on the Feast of the Redeemer, a Congregational Feast that is celebrated on the fourth Saturday after Easter. On-going formation becomes the responsibility of each sister and involves participation in a monthly day of prayer, a yearly retreat, workshops and other opportunities that strengthen the Sister’s call to consecrated life. 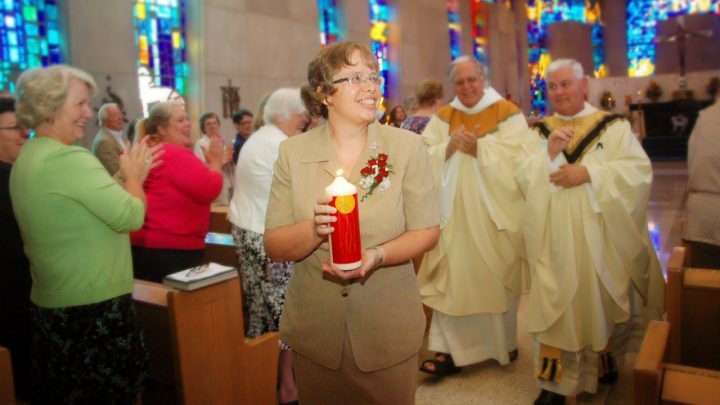 If you would like to speak with someone concerning your call to religious life please contact our Vocation Ministry Office by calling 215-914-4110 or emailing vocations@holyredeemer.com.